"Jack of all trades, master of none" is a figure of speech used when people try to do everything and end up spreading themselves thin so they are not actually an expert on anything. A common temptation for website owners is to appeal to the masses and appear on as many SERPs as possible. Keyword stuffing is a SEO campaign mistake and has the goal of being listed in the most number of searches as possible. Relevance is important to search engines, but a significant contributor that is often forgotten about is authority. Authority is the level of trust search engines attribute to websites. We’re not talking trust in the sense of avoiding fraudulent websites and boosting security, but trust in the sense of community-approved brands. There are two types of authority: domain authority and page authority. Domain authority refers to the trust granted to an entire website, and page authority is reserved for individual pages within the websites. Authority is different from relevance. Relevance asks the question, “Does this site’s content match the user’s query?” Authority asks the question, “Is this site well-known enough to send the user to it?” Sometimes it seems like authority is just a popularity contest. While that is certainly true to some extent, search engines determine authority in many different avenues. In the past, links were the main variable in authority. To put it plainly, authority is the fruit of link building. While link building is still vital, links are no longer the only determining factor in a site’s authority. Search engines take the content of a website into account when scanning for trustworthiness. The quality of your content is also important for generating more buzz about your brand. 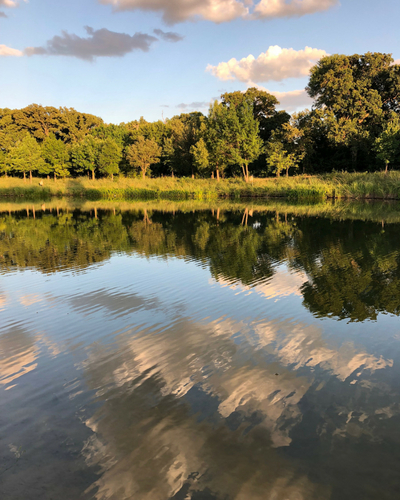 Instead of being an expert in everything, the emerging idea of topical authority refers to the practice of working toward the goal of being the absolute best in your particular niche. Take Walmart and Tiffany & Co. for example. Walmart sells just about any type of product you could need on a regular basis. Tiffany and Co. is just known for their luxury jewelry. While Walmart offers a variety of items that people like to buy, they don’t offer the absolute best in anything. When someone wants to buy a piece of fine jewelry for someone special they don’t think, “I have to go to Walmart for this!” It’s nothing against Walmart, it’s just the fact that smaller and more niche-focused shops are able to specialize in particular products and excel in them. Prioritizing topical authority and social media go hand-in-hand in playing a huge role in who is talking about your brand. People are more likely to mention an article or a website that offers a fresh and new perspective or insight into the market they care about compared to a generalized statement that isn’t specific enough to relate to. 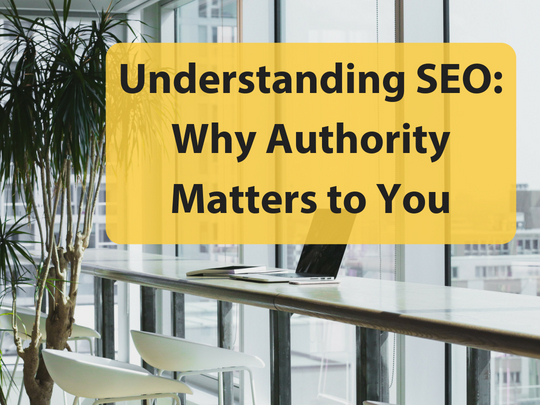 Another factor in authority exists in the genetics of your website. You will have greater authority if your website has better optimization. If your website caters to mobile devices, if it loads quickly, has an organized structure to it, and does not host broken links to name a few. Your website’s SEO authority might be suffering if it does not meet this standards. Be sure that you are aware of how to know that you need a new website. While SEO relevance will get you on the SERPs, it only goes so far. You need to be an authoritative and trusted brand to rise to the top. WebRevelation wants to help you be a trusted and authoritative voice in your niche. We can help you optimize your website so that search engines will will send the ideal client your way. Give us a call today or fill out a contact form and we will be happy to discuss your options and a game plan. Search Engine Optimization is not just about strategic practices within the coding of your Web page, it’s about how your page interacts with other Web pages on the Internet. The two most important ranking factors for Google are links and content. Therefore, you could say that your Web page is only as good as the sites that link to it. Link building is the practice of boosting credibility and trust by linking within your site internally and to other sites externally. There are many shady practices that revolve around link building, which is why many website owners shy away from links altogether. This is a detrimental move for their SEO because Google values links. 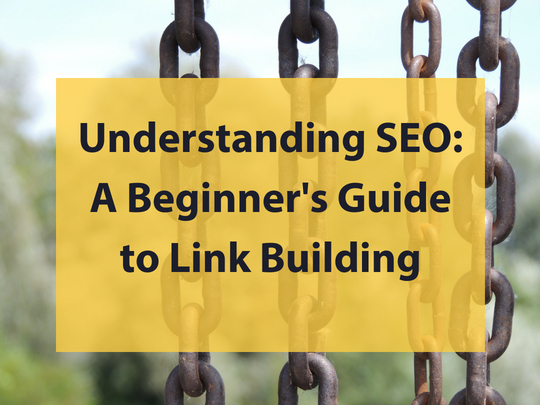 Link building can be done both externally and internally. External linking happens when a website that is not part of your domain links a portion of their content to one of your Web pages. When it comes to external links, you have to earn your links over time. The desire to have numerous outside Web pages linking to your site is a big temptation on SEO campaigns. Some people attempt to buy links or generate fake Web pages to increase the amount of links they have. These tactics are highly discouraged and can result in page ranking punishments. Before we cover a few ideas on how to generate external links, know that excellent content is at the core of link building. The biggest question for every blog post, product demonstration, and ebook should be, “Is this content the absolute best it can be?” In order for other websites to link to yours, you have to offer unique content that is trustworthy. Don’t neglect other SEO efforts for the sake of creating as many links as possible. Users must be able to find your Web page on the SERP before they can even link to it. After you are satisfied with the quality of your content, consider being a guest blogger. If you have an established brand and have knowledge of a particular subject, write about it for a credible website. Guest blogging should never be done just to gain links to your website (don’t forget that content comes first!). Instead, write because you have knowledge to share and treat the links as the cherry on top. Infographics are another great way to boost external links. Since it’s easier to copy an infographic and cite its source within the article than to create one on their own, website owners commonly share infographics around the Web. This is why you should create an infographic and make it accessible for others to use. While there fewer options when it comes to linking from one page on your website to another page, internal linking helps users navigate your website and contributes to page ranking. There are right ways and wrong ways to link internally. As a general rule, don’t go overboard with your internal links. If every other word in your article is a link to a different page on your website, then you are abusing the internal link method. In the same way, don’t add an internal link in places that are unnatural for the reader, such as links on conjunctions or on only part of the word. Pay attention to the literal words you select to contain the link. These words are known as your anchor text, and their relevance to the page it links to can actually increase or decrease its credibility. You should also link to more than just your homepage. Since it’s generally harder for the deeper pages of your websites to earn links, share the spotlight and link to the lesser-known pages, as long as they are still relevant to the content. Here’s a WebRevelation practice that we’ve adopted in our link building endeavors. When you link to an external Web page, be sure to adjust the link’s target in your settings so that the link opens up in a new window. When you link to an internal Web page, the link can open up in the same window. The reasoning behind this is so those who explore external links on different websites can easily return to your page in order to finish reading or shopping. Do you ever search for something on Google and click the “Images” tab to see what might pop up? Chances are you do, and so do lots of other people. In fact, one study shows that over 26% of searches are done with Google Images. If you own an ecommerce website or visually display your services on the Web, you should enhance your photos with an SEO tool called alt attributes. 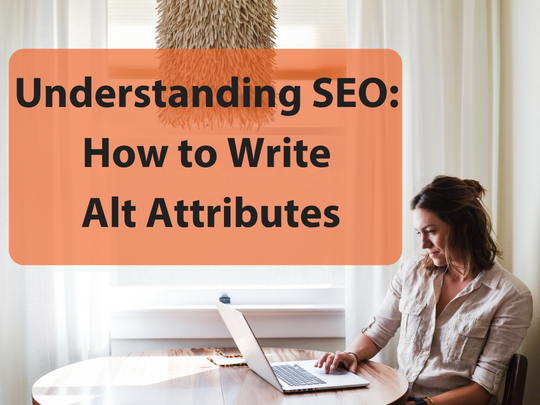 Alt attributes are also known as alt text, alt tags, or alt descriptions. They are simply an alternate way of describing an image by showing text in the image’s place. Since search engines cannot interpret images except with what they find in the Web page’s content, alt attributes are written in the coding and give search engines a clear description of the image. 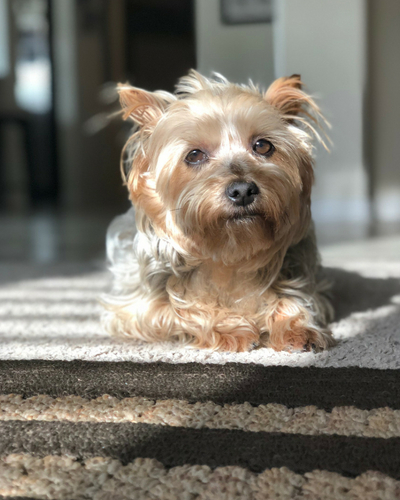 You’ll also notice that when you hover your mouse over certain images (usually buttons or product images), a description of the image will appear. This is an alt attribute. The main purpose of alt attributes are for screen readers to “read” images when assisting the visually impaired. It should be every website owner’s responsibility to make sure that their content can be enjoyed by the most amount of people as possible. Additionally, if for some reason an image cannot be displayed properly on a browser, its alt attribute will appear instead. Because search engines can better understand your Web page when they interpret its images correctly, properly formatted alt attributes boost your SEO and page ranking. Start by focusing on your Web pages that are dense with images, such as portfolios, galleries, and product pages. These pages will be harder for search engines to interpret on their own since there is less content to work with. Include keywords in your alt attributes, but don’t keyword stuff and only use them if you would actually use that word to describe the image. Keep the tag short, but include an honest description of the image. Let’s take a look at a few examples. The “img src” is the name of the picture’s file and the text that follows “alt” is the alt attribute. 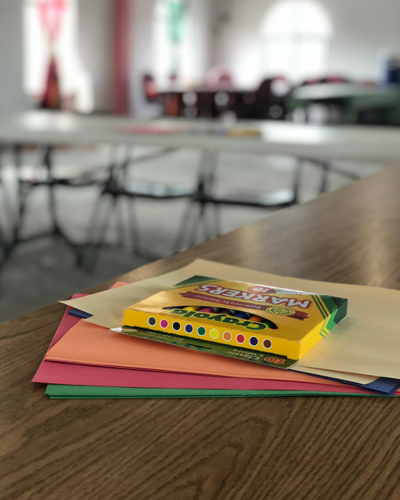 Don’t: img src="Crayola.jpg" alt="Crayola markers"
Do: img src="Crayola.jpg" alt="Crayola markers and paper on top of table"
Don’t: img src="Nature.jpg" alt="Trees and water"
Do: img src="Nature.jpg" alt="Lake water reflecting trees and cloudy skies"
Don’t: img src="Dog.jpg" alt="Cute dog"
Do: img src="Dog.jpg" alt="Yorkshire Terrier resting on carpet"
If you are unsure about alt attributes ask yourself this question, “If I read the alt attribute out loud to someone who wasn’t looking at the picture, would they be able to visualize the image and be relatively accurate?” When you can confidently answer in the positive, you have a great alt attribute. Alt attributes are easy write and quick to incorporate into your website. For more ways to boost your SEO, check out the rest of our Understanding SEO blog series. If you’re ready to optimize your own website, WebRevelation offers professional marketing tactics to increase traffic and boost sales. Give us a call today for a free consultation! The next step in getting more traffic to your site is by creating meta descriptions. They are a lot like stretching before you workout: some people skip it altogether, but it actually makes a world of difference in seeing great results! 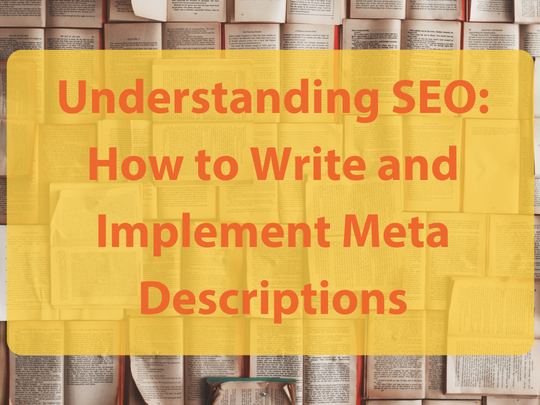 In the same way that title tags are only visible on a Search Engines Result Page (SERP), meta descriptions are also written into the coding and located under the title tags. In all ways except in length, you want your meta description to be like the introduction or prelude to a really good book: catchy, pithy, and informative but without giving away any big spoilers. Meta descriptions don’t directly impact your Web page’s rank on SERPs, but they can be the difference between someone clicking on your website or your competitor’s. If you look around online, you’ll see that most people recommend meta descriptions no longer than 155 characters. The fear is that Google will cut off your meta descriptions if they are too long. Other websites suggest 320 characters for your meta descriptions to ensure that Google doesn’t change or edit yours for being too short (Google might also edit your description if they find a duplicate on your website, or they don’t believe it to be descriptive enough). Focus on the buyer in terms of content and wording. If your ideal client is looking to buy a technical product, craft your words technically and give the details that cater to their interests. Highlight what makes your product stand out from the rest. Why does the searcher need to have your product? Match the tone of the article. Users expect to find in the Web page what they see in the meta description. False advertising, even in literary style, makes for unhappy customers. If the thought of adding meta descriptions to your website makes you want to curl up into a ball and cry, please don’t. Meta descriptions are not as difficult to implement for your Web pages as they may seem. Simply take a look at your Google Analytics, determine what your most popular pages are, and start adding their meta descriptions first. Don’t send yourself into a frenzied scramble trying to add descriptions to everything. Google actually creates their own meta descriptions for pages that don’t have any. While they might not be ideal, they can cover you in the time being. This is another reason why keywords are so important. Google scans your page and pulls content from it to create the description, so having relevant keywords will benefit that process. Your most visited Web pages and your top-selling product pages should be your first priority for crafting succinct and inviting meta descriptions. Always stretch before you workout and don’t neglect those valuable meta descriptions. We all know how important first impressions are when meeting someone new. The same is true for first impressions on Search Engine Result Pages (SERPs). Title tags, also known as meta tags, are what users see as the title of your page in search results. They are located within the coding and are not the same as h1 and h2 headings, as users can’t actually see title tags when they reach your website. The five following tips are vital for enhancing your SEO. All five are easy to implement, and you can even get started today! How many are you currently putting into practice? 1. Title tags are important. The first tip for optimizing your title tags is to make sure you’re always working to refine and improve them. While it may seem basic, you would be surprised by how many website users do not adjust their title tags. Where your page shows up on the SERPs won’t matter if the searcher doesn’t even want to click on your title tag. Where else will you also see your title tags? They appear on social media posts that link to your page. You definitely won’t get clicks from social media if your title tag isn’t appealing. Google checks to see if your title tag actually describes your page and if it’s relevant to what people are searching for. If it’s not, Google might edit your title tag to better describe your website. After you find the perfect keywords for your Web page, you should include them within your title tags. Because search engines value keywords, failing to incorporate them in your title tags can be harmful to your SEO efforts. If you researched successfully for valuable keywords, then you will reap the benefit of that by placing them in your title tags. 3. Intrigue but don’t reveal. Your title tag needs to entice the user to click on your post, but don’t give everything away. If you reveal the main point of your article in the title tag, then there is no reason for your audience to read it. There are many ways to craft catchy titles. Use strong and descriptive words and focus on your audience. 4. Avoid the click bait temptation. While it is easy to cut corners and do whatever you can to boost your clicks, just don’t do it. You’ll only increase your bounce rate if users land on your page expecting what the title promised and getting something entirely different. Sending out click bait also hurts your image as a company. Once you’ve wronged a user once, they’ll have a hard time ever trusting you again. Keep it honest and your reputable reputation will reward you later down the road. 5. Keep it short and sweet. Google technically determines its prime length of title tags based off of pixels, but a general rule is that they start cutting off title tags on their SERPs around 50-60 characters. Even if they didn’t cut off title tags, it’s best to keep titles short. Users won’t want to read the lengthy title of something that they aren’t already invested in. Only keep the best and most incisive words in your title tags. 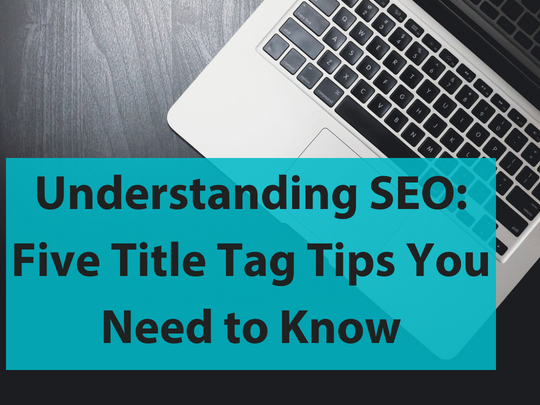 Title tags, though they are often overlooked, are pivotal pieces of SEO and generating more traffic. Remember the importance of first impressions and don’t neglect your title tags! When it comes to Search Engine Optimization, keywords can either make or break your marketing efforts. Keywords are defined as the words and phrases people use to search on web browsers. Of the many factors that go into where your website ranks on the SERPs (Search Engine Results Pages), keywords are a significant contributor. Before we cover how to use keywords, let’s discuss which words are the best to use. Do you want to improve your company’s marketing efforts? Invest in keyword research. There are many keyword research tools available, so be prepared to be patient and utilize the trial-and-error method. While it might be tempting to use generic keywords, that is not always a great move for your SEO. Long-tailed keywords are usually longer, more specific, and generally catered to particular niches. For example, if someone is needing a late night cup of coffee, instead of searching “coffee shop,” they will probably search “coffee shop open late near me.” Research shows that 70% of the searches performed on the web use long-tailed keywords. Not only are long-tailed keywords less competitive, they also lead to more conversions. The more specific the search, the more serious the person is about buying and not simply browsing. Once you have done your research on which keywords to use, now it is time to figure out how to manage them strategically. Most search engines use computer programs to crawl through the Web and analyze pages. For best results, be intentional about positioning keywords in the right places and do not overuse them. Definitely include keywords in the title of your Web page. Do note that your page title is different from your title tag, but you should use keywords in both. A title tag is the name of a page that SERPs display to the searcher. SERPs also display meta descriptions (or “snippets” as Google calls them) that are another great spot for keywords. When it comes to the content of your page, include keywords, but be careful not to overuse them. A recommended rule of thumb is to write for people and not for the search engines. Long-tailed keywords are great for diversifying your content, and they make it easy to use synonyms. If you use a keyword too much, then you might get marked for spam. This is known as keyword stuffing, and you want to avoid it as much as possible. If you are unsure about whether or not you have used a keyword too much, try reading your content out loud a few times. If any of it sounds awkward or forced, then you should consider switching up the content. 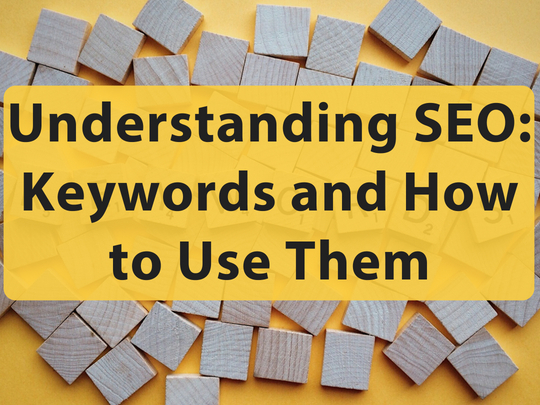 Keywords are a wonderful and manageable step toward improving your SEO. At WebRevelation, we know that, when using long-tailed keywords, the higher position you maintain on the SERPs means the more traffic you will receive, which ultimately lead to more conversions. If you need help honing in your niche and attracting the right kind of traffic give us a call at 817-283-3324 or contact us here and we will be happy to help your business.